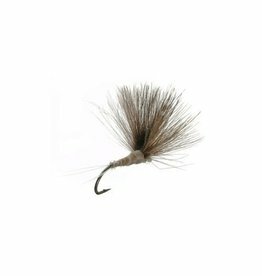 This fly is a perfect hatch matcher when fish are beginning to refuse parachutes and traditional adults. Sits low in the water and looks real. 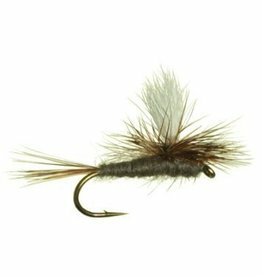 A terriffic Baetis Pattern that is easy to see and sparsely tied. Best of all worlds. 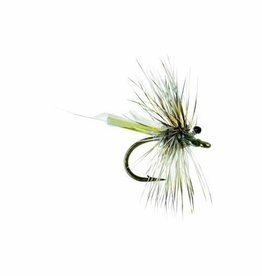 The parachute Adams in a foam grey body with a green foam post. 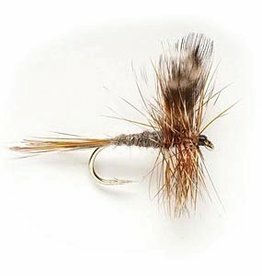 Easy to see and a productive BWO pattern. 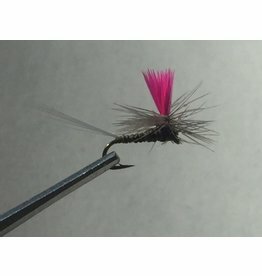 A “hanging” dry fly pattern that is stuck in the film still dragging the shuck. Deadly in heavy hatches. 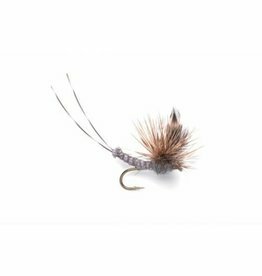 A delicate CDC wing, biot body in comparadun style. Fish will eat this when they refuse most others. 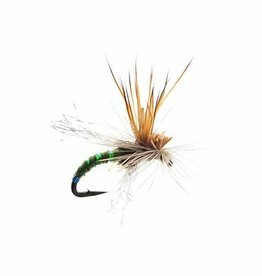 This custom tied pattern has a very visible post and a dirty dun quill body that matches the hatch on most any river. Especially easy to see. This extended body Adams looks great on the surface and is a high floater. The Para Adams may have been the first parachute style fly on the market. 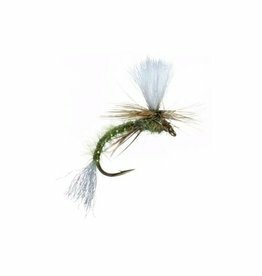 It works for all mayflies. You should carry it in all sizes, especially the small ones. Now in Purple as well. 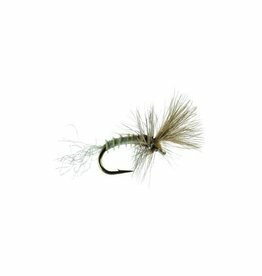 A very slight bodied mayfly pattern that is best fished on a double dry system behind an attractor mayfly. It’s deadly, but hard to see. 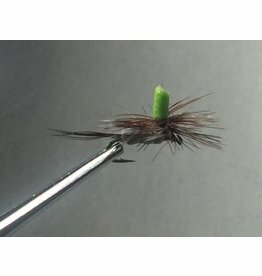 Definitely one of the oldest most proven patterns sold. 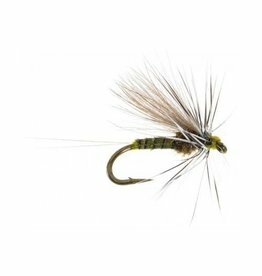 Big ones work as Drakes, smaller ones can’t be beat for a BWO hatch. Even fish a 22 for a Mosquito.